This independent consultant came to us with a depth of experience in scientific research and a desire to reach new clients. We started by taking inspiration from both their unique personal style and data visualization work to create a clean brand design. Dr. Simonis also needed a quick handout for in-person conferences, where they would be connecting with others professionals in research and data analysis. We designed business cards that keep a consistent look with their brand. 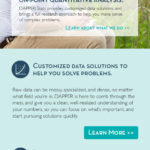 The center of the DAPPER Stats platform is the mobile-responsive brochure website we created. The modern design elements set them apart from traditional academics, while sharing key information about their specialties, and speaking to their niche audience. 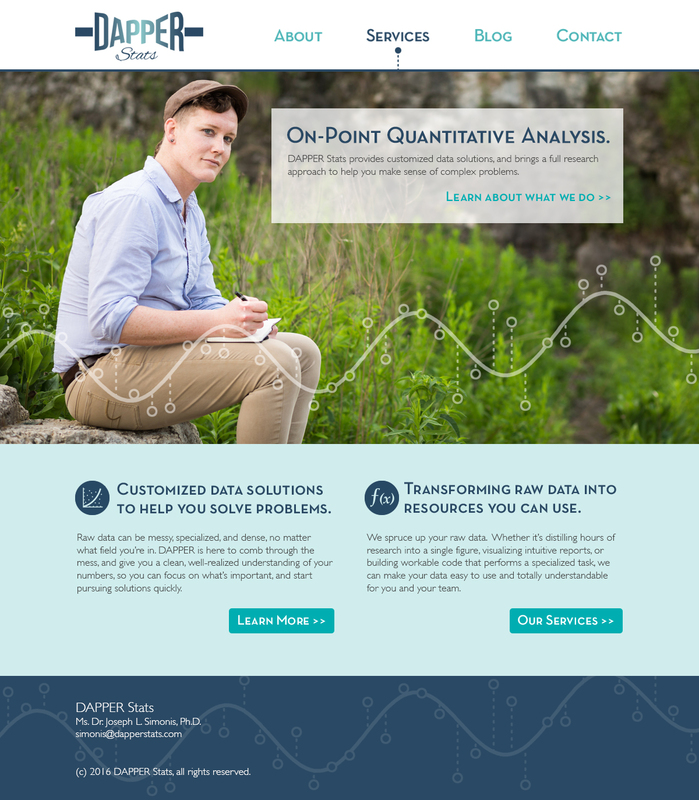 "Sarah and the team at Upswept Creative were pivotal in establishing DAPPER Stats' brand as an on-point quantitative consulting outfit. The logo, business cards, and website they designed for me are top-notch and will help me grow my business for years to come."